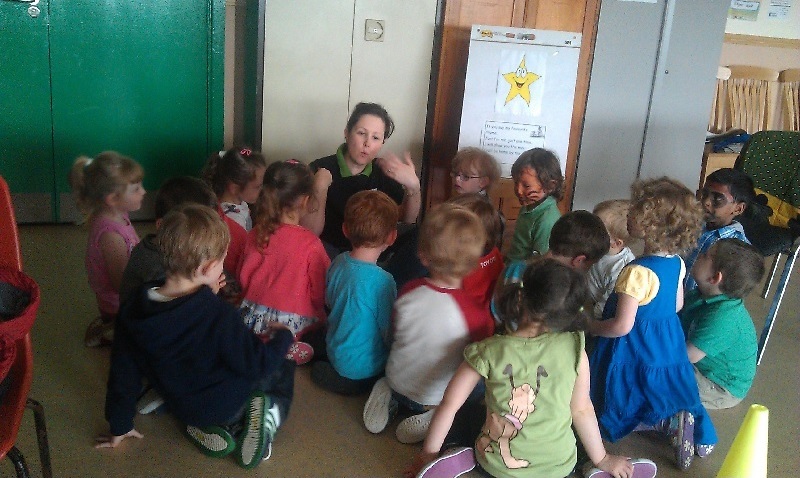 Pre-School Programme » Comhar Chathair Chorcai Teo, Cork City Partnership Ltd. Happy Talk has provided Elkan(Click here to visit Elkan website) training , Speech and Language Support for Under 5s, for preschool staff. This course covered topics that enabled the staff to support the communication of all children including those with speech and language difficulties. As with the Junior Infants programme coaching is a key element of the preschool programmes run by the Happy Talk therapists. Staff and parent coaching sessions are run in each of the preschools participating in the Happy Talk project. The Happy Talk sessions begins with the parents meeting together and being led through language development strategies and activities. These informal meetings often lead to discussions where parents share their experiences and the Happy Talk therapist provides information and support when applicable. The parents then join their children in the preschool and participate in the session. The Happy Talk therapist introduces and demonstrates the activities and then provides direct support to the staff and parents in the form of coaching as they carry out the activities. 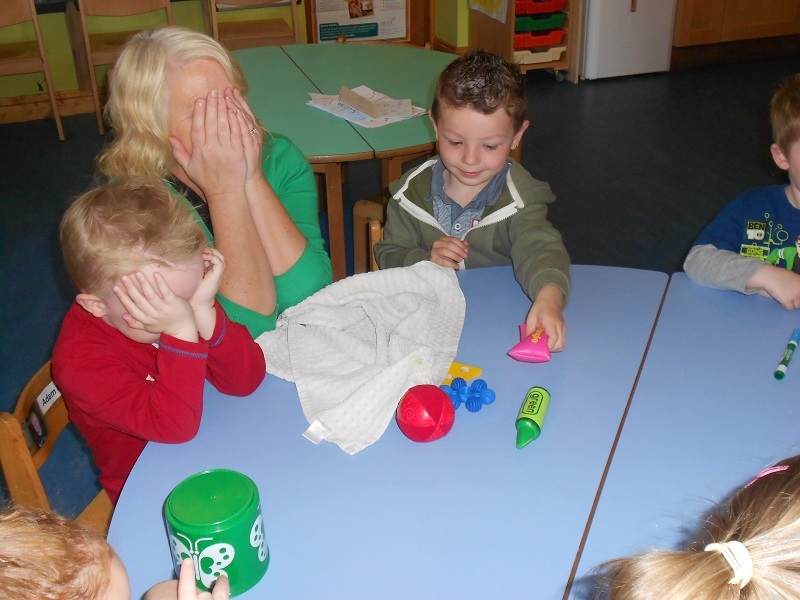 During the week the children continue to work on the activities with the preschool staff. Areas targeted in these sessions include: use of the Happy Talk strategies (modelling, expanding, balancing comments with questions); listening and attention activities; phonological awareness activities; vocabulary development, understanding of concepts, sharing books and developing pretend play skills. Participating preschools are invited to take the Happy Talk rhyme challenge each year as part of the annual play day held in the Glen Resource Centre. Specific nursery rhymes are introduced during Happy Talk preschool sessions throughout the year in preparation for this event. During the play day event, the children are challenged to find Twitch with the help of their nursery rhyme friends and a fun obstacle course. The Transition Flower was developed in conjunction with preschool staff, junior infant teachers and primary school principals to support the transition from preschool to primary school. It is a tool for documenting each child’s achievements across a range of areas including: self-help skills, motor skills, thinking skills, social and emotional skills and language and communication skills. 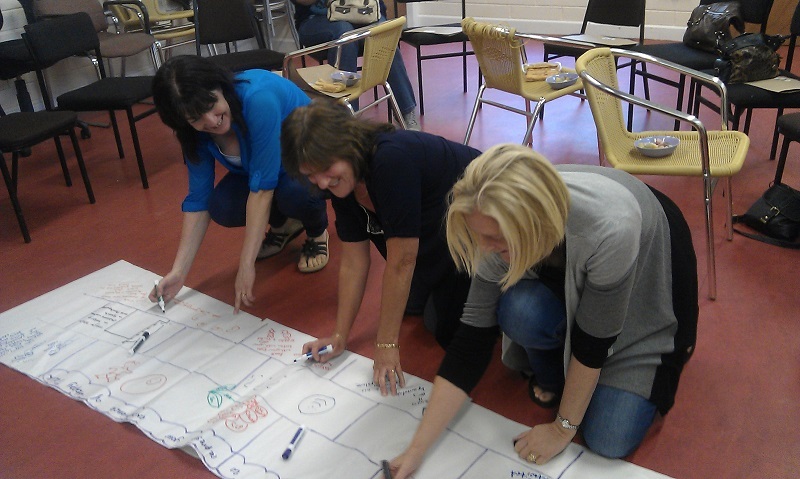 The language and communication skills relate specifically to the areas supported by the Happy Talk Project. 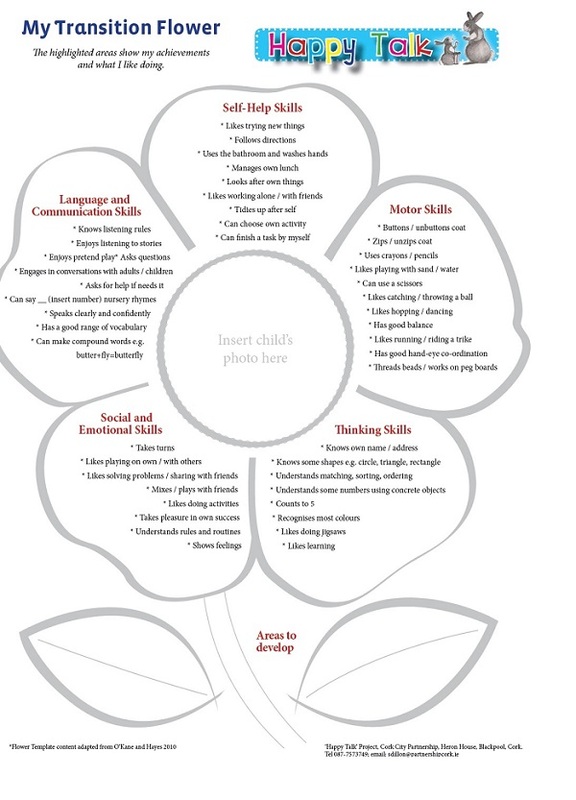 The Transition Flower also highlights areas for the child to develop and provides preschool staff and parents with an opportunity to identify any concerns, which would be helpful for the junior infant teacher to be aware of.